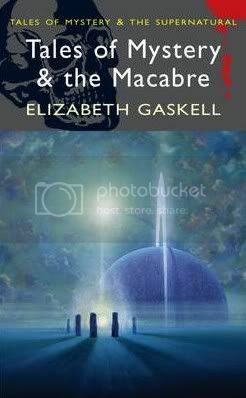 Tales of Mystery & the Macabre collects nine Gothic short stories and novellas by Elizabeth Gaskell, most of which were originally published in Charles Dickens’ weekly Household Words, and then collected in Curious, If True and The Grey Woman and Other Tales. Let’s get this out of the way: this is Victorian Gothic wonderfulness and I loved it with all my heart. These are strange and atmospheric stories of crimes, ghosts, curses and premonitions. Yet Gaskell’s customary themes and social concerns (or so I hear—this was my first time reading her, though certainly not my last) are still very much present. What particularly appealed to me was that most of these stories showed a clear sympathy for outcasts; for what happened outside the norms of Victorian conduct; for women left in positions of vulnerability, for those who suffered the effects of poverty, for the lonely and the unprotected. I think I'll start by telling you about my least favourite, “The Squire’s Story”. Amy reviewed it last week and was not a fan, and I agree that as a piece of fiction, it hasn’t aged nearly as well as the rest of the collection. But I still found it interesting as a historical document. The reason why the story feels pointless today is because certain things—certain crimes, in particular—no longer surprise or shock us nearly as much as they did the Victorians. “The Squire’s Story” plays with Victorian fears about the growth and inevitable depersonalization of communities. In a world filled with increasingly large cities, opportunities for social mobility, and people moving about freely, it was easier than ever before for someone to create a whole new identity. How, then, could a newcomer ever be trusted? What secrets could a seemingly respectable stranger be hiding? This brings me to my second point: another reason why “The Squire’s Story” was my least favourite was because it was less progressive, less welcoming of social change than any of the other stories. But on to the wonderfulness: “The Old Nurse’s Story” is about a woman who, when the little girl she looks after becomes an orphan, moves with her to a Manor House in Northumberland, where her remaining relatives—two ageing sisters—live. So yes, we have an isolated Gothic country house, which means that with it inevitably come scandalous family secrets. The story unfolds slowly, but it’s not really a spoiler to tell you that there’s a ghost, and that the aforementioned old secrets are eventually revealed. It’s a deliciously atmospheric story, and, interestingly, it reminded me of the Brontës even before I read that it was based on a story that Charlotte Brontë told Gaskell. Original illustrations for "The Grey Woman"
“Lois the Witch” is a novella set in Salem in 1691-2—you can guess what it’s about. It’s a long piece, even for a novella, which follows Lois all the way from England, where she became an orphan, to her uncle’s house in Salem. When the witch-hunting begins, you know it’s inevitable that the newcomer will be accused. There’s a curse early in the story that gives it a touch of the supernatural, but above all, this is a story about people, about religious conflicts, about intolerance and fear, about isolated communities, about regret. “The Ghost in the Garden Room” (also published as “The Crocked Bench”) is more of a crime tale in the same vein as “The Squire’s Story”. But because it’s longer, more fleshed-out, it works a lot better than the first story does. It’s about an ageing country couple who do the best they can to help their only son, but after he goes to London to become a lawyer things take a sad turn. It’s a long story, but I can’t actually tell you much more about the plot than this. I’ll just say that Gaskell’s social concerns are clearer than ever here: the effect of city life on country people is an obvious theme, as is the fact that an education that wasn’t followed by real opportunities did little more than alienate people from the world they were born in. This isn’t, of course, an argument against education, but an argument for opening the doors to a world that education was supposedly preparing people for, but from which they were still excluded socially. “Curious, if True” was the most surprisingly story of all. I have no words for how much I loved it. I don’t want to give too much away, so you can be as surprised as I was, but two words: fairy tales! The story’s protagonist gets lost in a forest at night, and ends up finding an old castle where a party seems to be taking place, and…well, read it for yourself. To tempt you further, I will also add that it reminded me a lot of Fables. I could talk at length about the rest of the collection, but it’s probably wise to wrap this up here. Let me just add that I read this book for the Classics Circuit—a wonderful idea that Rebecca had to encourage people to read more classics. Thank you, Rebecca! I look forward to the next Classics tour. Ooh, this one looks interesting. Might be just the thing to satisfy my M.R. James cravings. I've never heard of these stories, but now I'll have to find them and read them. How interesting! I had no idea that Gaskell wrote spooky stories! I love when book bloggers turn up new tidbits of trivia for me to latch on to! I'm so glad you ended up loving the Victorian gothic-ness! 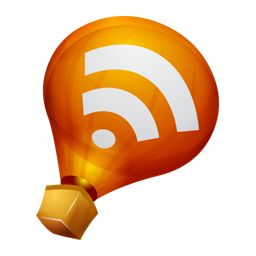 And interesting comments about the story Amy read. I wondered why it feel flat for her! Sounds like the others are just delightfully Victorian, though! I tried to listen to The Grey Lady once off librivox, but the spoken narrative was so unbalanced that I kept missing things. Like the person recording would be really loud and then suddenly so quiet I couldn't hear here and such. It sounds like such an interesting story, and I believe I read another of her stories earlier this year, too. Can't wait to read one of her novels. I like the quotes from Lois the Witch. It was a very provocative passage: I never before thought about how I would actually feel if I believed in that! Wow, I had no idea Gaskell wrote these...they look cool! I love Mrs Gaskell but only read her novels. These short stories sounds interesting. Thanks for your accurate review. My hubby was asking me if there were any compilations of Victorian gothic stories I would like and then you come along and give me this. What a coincidence. I shall pass your wonderful post over to my hubby and hope that I find it in my Christmas stocking. Bring on the Victorian Gothic wonderfulness! I just added this collection to my wishlist. Thanks for another wonderful review. I was just reading a little bit about Elizabeth Gaskell and wondering about her stories so thank you very much for this review! Aside from The Squire's Story it was great to read how much you enjoyed these stories. I am excited to read The Old Nurse's Story being a big fan of the Brontes! I'm definitely adding this book to my tbr list! I'm interested in this...sounds fantastic! I keep coming across more and more wonderful Victorian/Gothic/ghost stories by reading blogs. There are more out there than I ever knew about! I had no idea that this book even existed! I love Gaskell and am listening to Cranford right now during my afternoon walks, so I am really glad to see this review. I think it sounds like a great set of stories and I am really excited about getting to see another aspect of Gaskell's writing. Thanks so much for posting this! Great review! Oh this sounds perfectly delicious. I have two books of EG's short stories but it's years since I read them. Might get them out over Christmas for a reread. Oh the illustrations are wonderful. I'd probably love this. Sounds like something I'd really enjoy! I'll have to find it. My post involves Charlotte Bronte and Gaskell too. Once I (finally) finish Ruth, I want to read Gaskell's scary stories. I think I might be one who prefers her shorter fiction! LOL you are so much deeper than I am! I would never have thought those things about the story. I gave my copy of The Cranford Chronicles to Teresa at Shelf Love. Now I want to read this story collection. Cranford was not for me, but this bit of Gaskell might just be. Rebecca: I think it's natural that it did - as a piece of fiction, it just doesn't pack a punch anymore. Thank *you* for organizing the tour! Amanda: Aw, that's too bad. It IS a great story! Jill: I loved that she wrote with such sympathy even though she was writing from such a distance, both chronological and ideological. Maria Grazia: Now I need to discover her novels :) Thinking of starting with North and South. J.S. Peyton: lol, sorry :P At least this one's available on Guttenberg! Aarti: I think I'll read it first (because I'm weird about book/movie order:P), but I'll definitely keep the movie in mind! Gricel: They were! But moe than just that too. Zibilee: I need to give Cranford a try myself. I love that everyone's reading her - hooray for the Classics circuit! Ladytink: Sadly my edition didn't have the illustrations - I took them from the e-book. Chris: Going over to read your post! Eva: I haven't read her novels yet so I can't comment, but hopefully next year I will. Amy: I'm not! I a) have spent too long in academia and b) am slightly obsessed with the Victorians :P I thought your post was full of good points, and you explained very well why the story falls short for a contemporary reader. Cara, hopefully these will work for you! Hmm, this looks like a good read. Lois the Witch in particular sounds intriguing. I loved the excerpt you posted. I just bought this book! I hope I can read it soon. 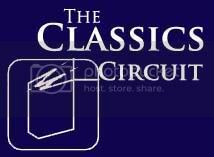 . . sooo many books on my to-read list now -- the Classics Circuit is full of great suggestions. I love Gaskell, it'll be fun to read something of hers that's more gothic -- I'm rereading Rebecca right now and I'm all about the Gothic novels. This is one of those books that I look at every year for R.I.P. and never get around to. Your first few lines of this review have me kicking myself that I didn't get around to it this year. It sounds really great Nymeth. Lois the Witch sounds really interesting. This looks really awesome. I have to add this to my TBR list!